Kim believes children are very intelligent and know exactly what they need, but often don’t know how to communicate it. As a result, they may act out, create unhealthy symptoms, and begin to feel alone. Through therapy with play, she helps children find their voice, learn to express feelings and identify needs appropriately, and learn healthy coping skills. She also works with the family, to set boundaries that support their child/children in the growth and progress they are making. Kim also works with adults and young people on issues such as problems with family/friends, anxiety/depression, isolation/loneliness, problems at school/home/work, anger, death/loss of someone close, low self-esteem/confidence. In addition, she has also been serving the LGBT community since 2005. Kim received a Master’s Degree in Professional Counseling and School Counseling from Olivet Nazarene University, and a Master’s Degree in Elementary and Early Childhood Education from Governors State University. She is also a Licensed Professional Counselor. 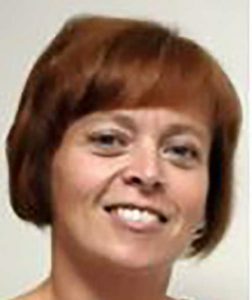 Her professional accomplishments includes cofounder of the Kankakee Chapter of PFLAG (Parents, Families, and Friends of Lesbians and Gays), and she helped to develop the youth program at her church.